I don’t know what it is about home made wine that attracts me. Maybe it is my thrifty Scottish side that likes the chance to make something out of (almost) free stuff that would normally cost good money to buy. Maybe it is the baking/making side. My husband claims he likes making it too, though inevitably I am the one who does all the work of making it. Drinking it, well that is a mixed bag. The elderberry wine that keeps winning firsts at the show is too sharp and tannin filled for me, but if it keeps winning firsts then I’ll keep producing it. But I do like a chilled glass of the dandelion wine and the bramble wine is passable. 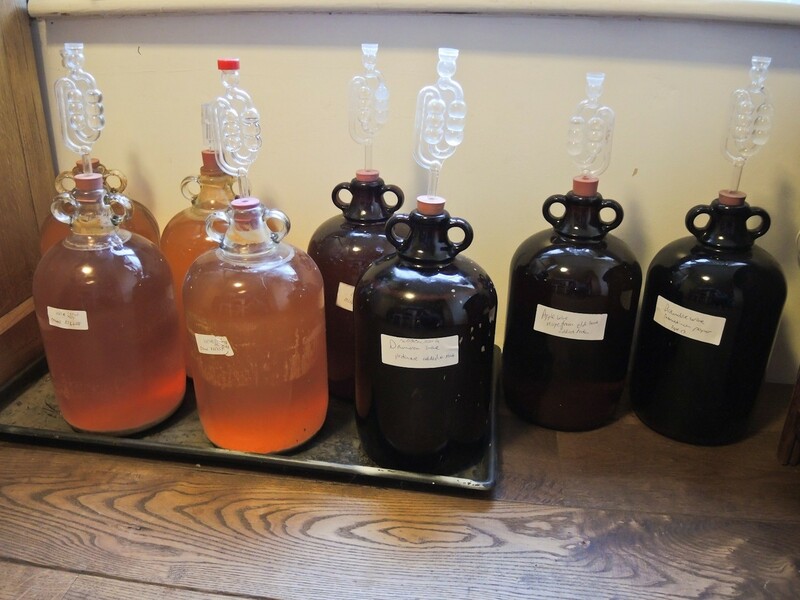 A few years ago we made cider and that was such a success that it didn’t last long at all! So this year we have 4 demi-johns of cider, 2 of apple wine (2 different recipes), one of bramble, one of damson and soon to be put in a demi-john will be grape wine. 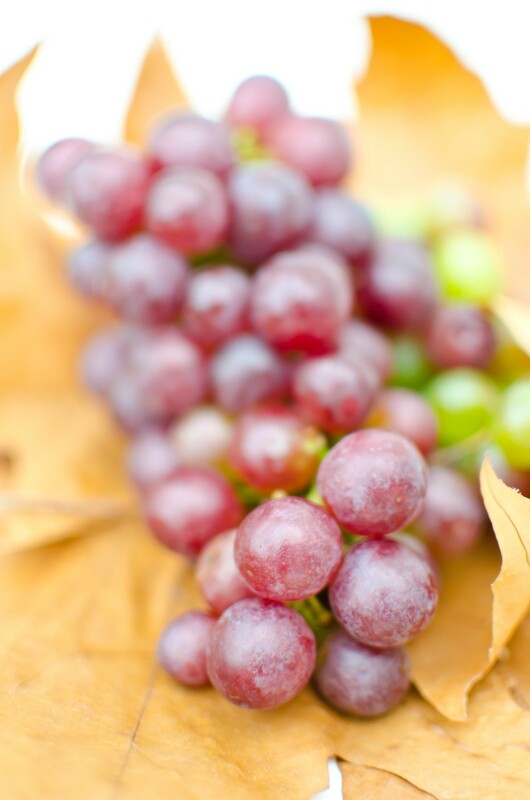 Yes, you read right – grape wine. But these are free grapes from the garden at work. I wonder what Chateau Wheelhouse 2013 will be like? We will have to wait a year at least to find out. That is the thing about homemade wine; if it doesn’t taste good when you first try it, ignore it for another year or two then try it again as it will taste completely different.